Irish actress Saoirse Ronan has admitted that fame can be "distracting"
Saoirse Ronan admits fame can be "distracting". 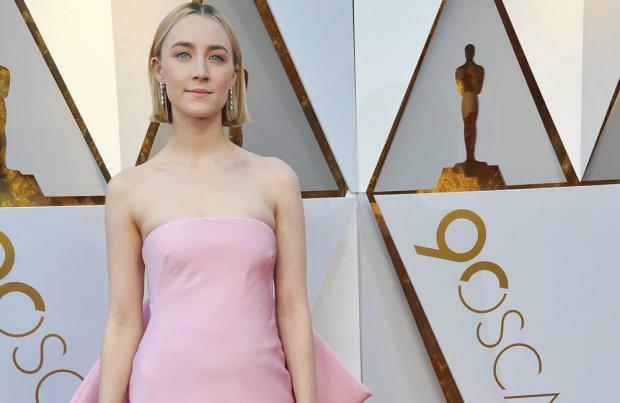 The 24-year-old actress has recently emerged as one of the most in-demand young stars in Hollywood, but Saoirse has revealed her determination to stay grounded, saying she doesn't want fame to distract her from her work. The 'Lady Bird' actress shared: "I can see how it can be distracting, especially when you do get a bit more recognisable, and maybe you're sort of in the public eye a little bit more and stuff. "But if you're why it is you're doing this - it should be because you love it - it keeps you quite levelheaded." Despite the success she's enjoyed as an actress, Saoirse often goes about her day to day life unnoticed. And she has revealed that a large number of people still don't realise that she's Irish. Speaking on ITV's 'Lorraine', Saoirse added: "You know, most people still don't know that I'm Irish. "I was like, 'Who do you think I am?' 'Are you Saoirse? I didn't know it was you by looking at you, but I heard your voice.' So it tends to be the voice..."